Rejoice, Ryosuke fans! An avid cosplayer goes by the name of 結音 (Yuine) from Tokyo, Japan did a pretty remarkable cosplay for Ryosuke Takahashi (Second Stage) You might recognize her from her Kaori cosplay (http://idforums.net/index.php?showtopic=46327) earlier last year. Yes, that's right. That's a girl cosplaying as Ryosuke. There are certain feminine features on Ryosuke that male cosplayers just can't pull off that look. Yuine seems to strike a balance point between reality and fantasy. The cosplay closely resemble the anime/manga style from Initial D, yet it doesn't seem too unreal. Yuine also cosplay many other anime series. Follow her work in the links below if you are interested! » Screenshots from Initial D Second Stage ACT.1「掟やぶりのスーパーウエポン!」"A New Threat!" Image size reduced, original size: 1600 x 1198. Click here to view the image in its original dimension. A shame that it's Second Stage Ryosuke, though. too bad i never visit japan. 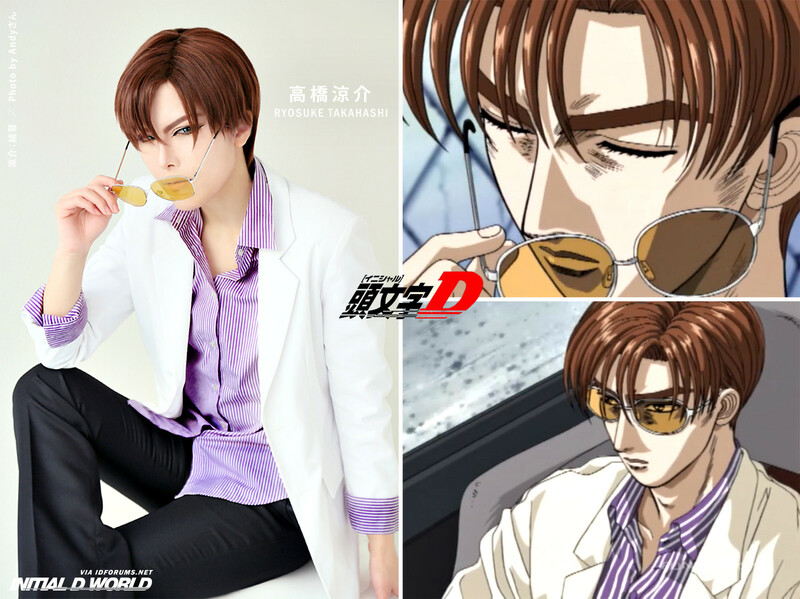 here in my country.... people rarely cosplays initial D. let alone Ryosuke. n even if they do, they most probably wont capture his look precisely like this one.